Hatching shipped eggs is not nearly as successful as local eggs even if you are lucky enough to get the shipped eggs to your door without them breaking. I would recommend buying local if at all possible to get a better success rate. The most common problem with shipped eggs is a detached or displaced air sack. The air sack should stick to the fat side of the egg which is where the chick's head should be at hatch and if the air sack is not there, the chick will likely not make it out. 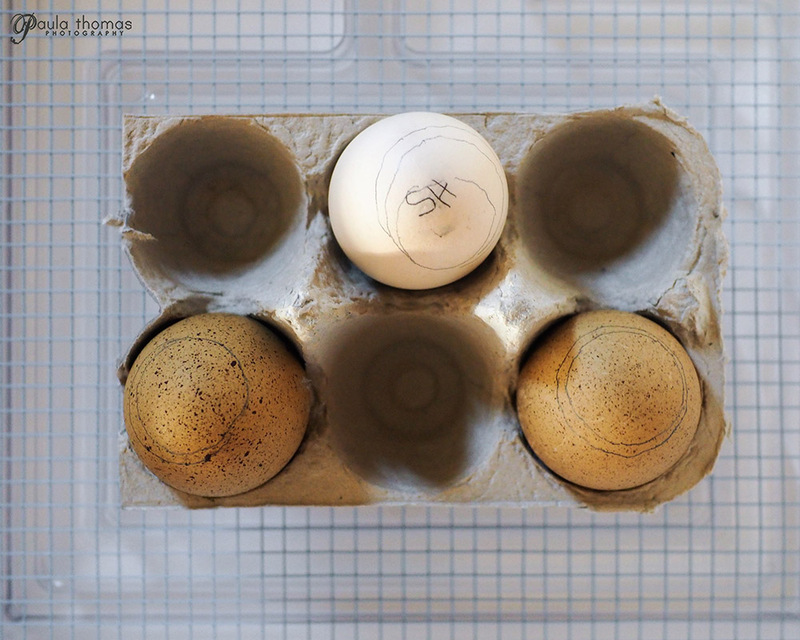 There are some things you can do to improve your hatch rate of shipped eggs. 1. Store the shipped eggs in an egg carton pointy side down for 24 hours before incubating to allow the cells to heal and increase the possibility of the air sack reattaching if it becomes detached. 2. Candle the eggs as soon as possible and discard any cracked eggs. 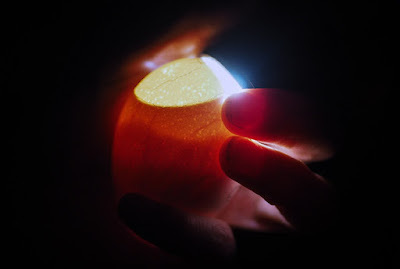 Try to keep the fat side of the egg on top when candling so the air sack remains in the correct position. You can try using nail polish or wax to seal minor cracks. 3. Incubate the eggs with pointy side down rather than on their side to allow air sack to remain at the fat end of the egg. 4. Incubate at a slightly lower humidity than you normally would, around 30% as eggs with detached air sacks are not as likely to grow like they should. 5. Candle at day 6 or 7 to check for development continuing to keep the egg fat side up. 7. Cross your fingers. You may need to help a chick out if it looks like they are having trouble. A dozen eggs (4 svart hona, 2 ameraucana, 2 jubilee orpington, 2 isbar, 2 olive egger) arrived from Ohio via USPS 2 Day Express and placed in an egg carton pointy side down. Candled in the evening and only saw an air sack in a couple of the eggs and one of the ameraucana eggs was cracked and set aside, not to be incubated. Placed 4 svart hona and 2 of my own olive egger eggs in the Brinsea Mini Advance and the remaining in a Hovabator I borrowed for this hatch with humidity at 40%. Candled eggs and saw detached air sacks in nearly all of the shipped eggs, no development visible in any of the eggs yet. No air sack visible in my own eggs (they are dark and hard to see anything). Moved all eggs into Hovabator since eggs could not be placed vertically in the Brinsea after reading about hatching eggs with detached air sacks. 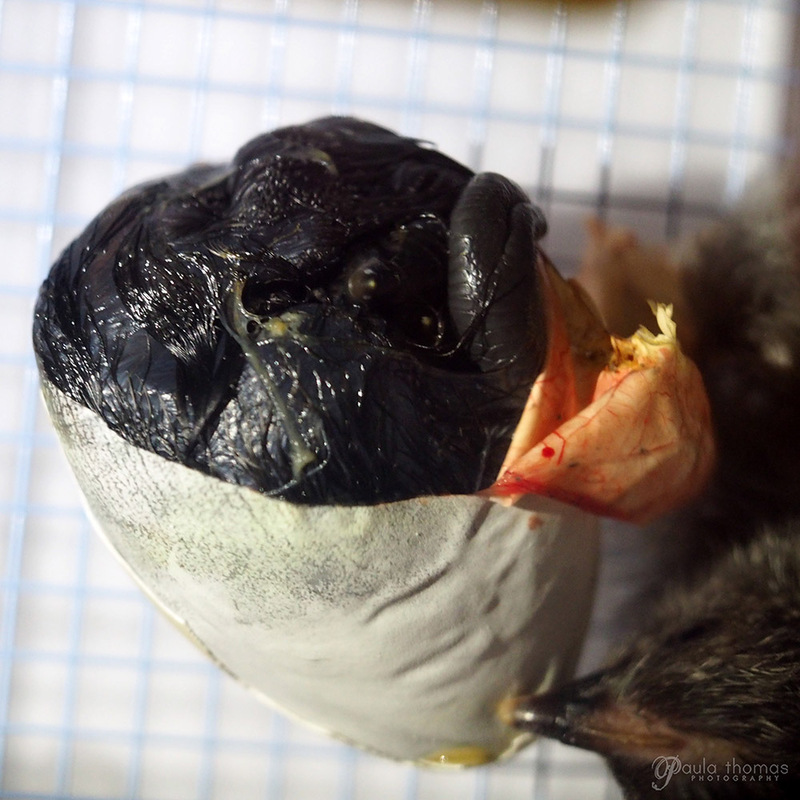 Lowered humidity to 30% after more research on hatching eggs with detached air sacks. Candled the eggs. 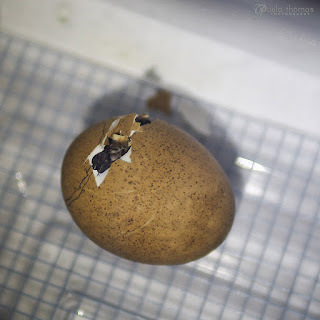 Saw development in 2 of the 4 svart hona eggs and 1 of the shipped olive egger eggs. 1 of the svart hona eggs also appeared to have a blood ring. My olive eggs were too dark to see anything. No visible veins in any of the other eggs but a few appeared to have a larger dark mass at the top of the egg than others. The air sacks are on the top of the eggs in these photos and not visible. Will try to get a photo of the air sack in the next candling. 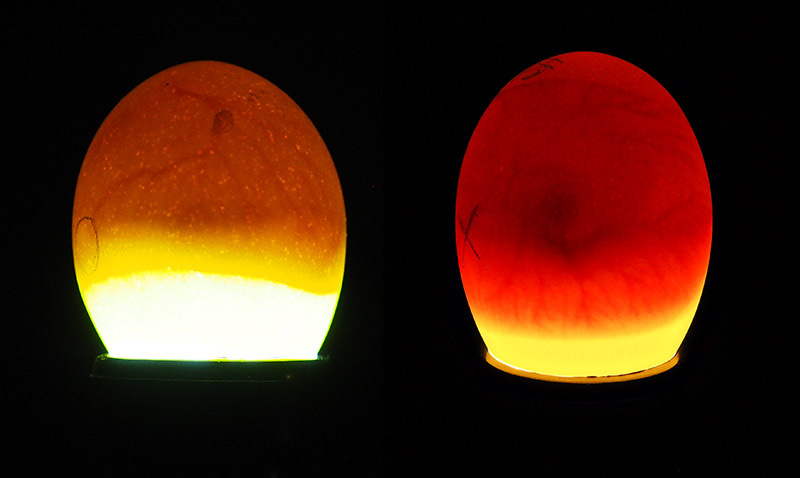 Saw blood rings in 1 ameraucana egg and in the olive egger egg that was showing development in the previous candling. Down to just two svart honas that are still developing from the hatching eggs. The rest don't appear to be developing. In those that are developing the air sack appears to have reattached. Only saw movement in one of the eggs. 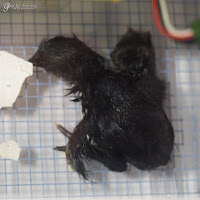 The two F2 olive egger eggs from my flock have too dark of a shell to see much but I think I saw some veining when candling at the top through the air sack. Candled eggs and one of the svart hona's has stopped developing. Only remaining eggs that are still developing are one svart hona and the two olive eggers from my own flock. I removed all the eggs except for the three developing and set them in an egg carton and removed the egg turner. Two eggs have started to pip. One olive egg pipped this am but has not made much progress in the last 8 hours. The svart hona has also pipped but it's on the side, not from the airs sack. I've repositioned the egg so the pip end is on top to reduce the chance of it drowning. Today is officially HATCH DAY. I was expecting some chicks to hatch out overnight but no luck but both made a little progress and the humidity dipped down to 20% so the membranes got a little dried out. I decided to do some manual intervention on the svart egg as it had not yet broken through the membrane for air. I poked a hole in the membrane and pulled it back a bit to help it breath. I gave it about 8 hours and it had made no progress at all so I decided to do some more intervention and pulled back nearly all of the shell from the membrane except for a bit on the bottom and put it back in for a few hours. Still no progress so I pulled back the membrane about halfway down. I didn't want to pull it all the way off in case the yolk had not been absorbed. After a few more hours she was trying hard to get out but seemed stuck so I helped her some more and found the yolk to be absorbed and she finally was free. She seems to be doing well so far. 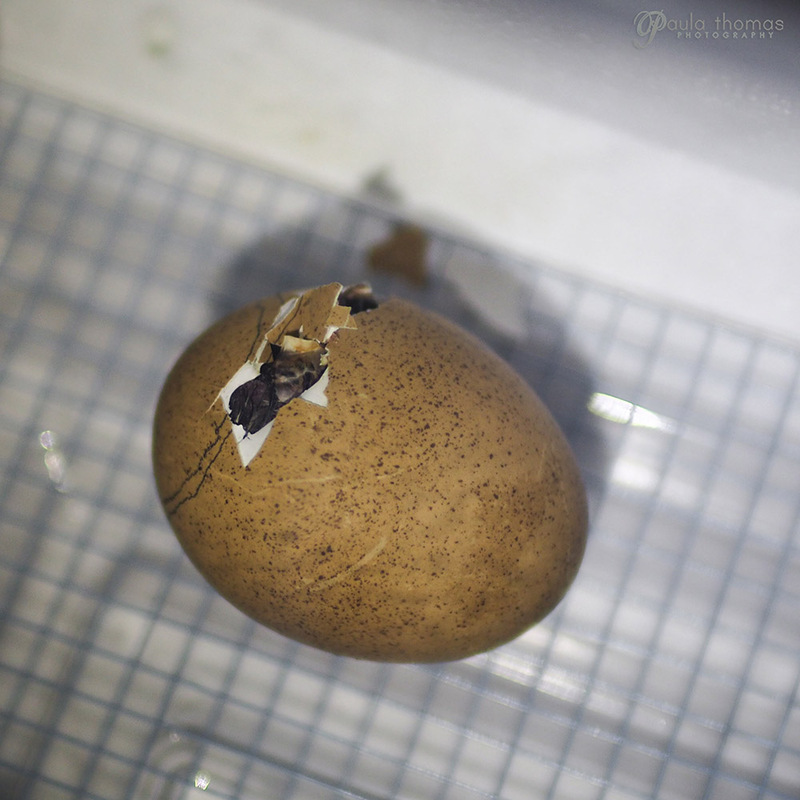 The other olive egg didn't pip until late afternoon but is making quick progress and might be out by morning. The day after hatch day and the other olive egger made it's way out some time over night so all 3 that made it to lockdown made it through the hard part. Unfortunately, my two olive eggers have some foot/leg issues. 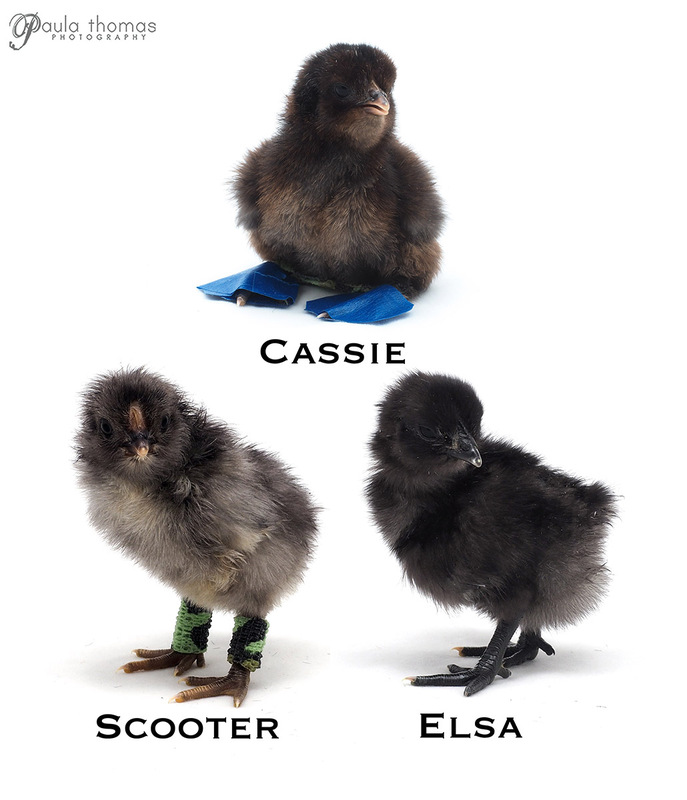 The last one that hatched had curled toes on both feet so I made shoes out of masking tape to keep them straight. It should only take a couple of days to straighten the toes since I caught it early. The other olive egger wouldn't stand up when walking and would walk on her hocks. I fed them some vitamin water and wrapped her legs in vet wrap to help protect them. She's already doing much better. Not 100% but definitely standing up more than she was before.